Become outstanding educational-athletic programs, using PCA's Roadmap to Excellence to create a shared vision among organizational leaders, coaches, parents and athletes. 70% of youth athletes drop out of sports by the age of 13. It does not have to be this way and we are committed to keeping kids involved as long as they want. 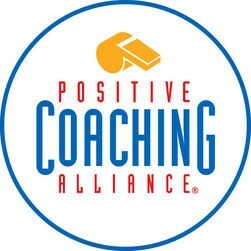 The Little League, Positive Coaching Alliance partnership helps players learn how to win on and off the field, using a fun, competitive environment to teach lessons in teamwork, discipline, compassion and handling adversity. Players can then apply those lessons in school, jobs and their family lives. All of Four County LL's managers and coaches are required to have PCA training and we also offer a parent's workshop for the parents as well. We are changing youth sports for the better. The R in ROOTS is respect for the Rules. We don’t bend the rules to win even if we think we can get away with it. The first O is for Opponents. We always treat our opponents the way we’d like to be treated even as we try to defeat them. The second O is Officials.We show respect for officials even when they make a mistake that hurts our team. The T is for Teammates. We support our teammates and don’t do anything that will embarrass them. S is the most important. S is for Self. We Honor the Game even when it’s hard because it’s important to us to be the kind of person and team that Honors the Game. "The parents of millions of Little Leaguers, combined with their youngsters, league officials, umpires, managers, coaches, auxilliary members and countless volunteer agencies including sponsors, represent an imposing cross section of this nation. Parents should accept the fact that they must shoulder the responsibility and take initiative to make the local program successful. Little League is not a club in which membership implies baby-sitting benefits and entertainment privileges for your children. Practically speaking, Little League is an adult, volunteer work project constructed, supervised and assisted by parents who desire to make its benefits extend to their children. Each parent should join in the total effort. There is a place and a job to do for all. The burden of operating the League should not fall on a few. The parent who shirks this responsibility cannot, in turn, expect others to assume the burden.